Everybody loves an old-school musical. The kind where characters break out into a dance sequence for no reason, and where songs might not have anything to do with the story, but have so much joy and energy that you don’t care. Sweet Charity is one of those, but is different. It falls in this strange place in the timeframe of musical history, between the heyday of simple, song-and-dance focused shows like Hello Dolly and The Music Man, and the major works of Sondheim and Kander and Ebb, which changed the tone of what musical stories and scores could be. It saw some of the most famous work of legendary choreographer Bob Fosse, in his most indulgent but impressive ways. Its story is often bizarre, filled with loads of off color fourth wall breaks, and with an ending that could be seen as both ridiculous and nonsensical. But it is that joyous core at the center which makes it so memorable. Because how could you forget the story of a dance hall hostess down on her luck who’s nothing but plucky, kind and cheerful despite that. I sat down with the director, Hanna Lawson, to discuss her show, why she chose it, and what she thought made it so special. Why did you pick this play? HL: I picked Sweet Charity because it’s a fun show! (You’ll probably hear me saying that too much this week, but it is!) I saw in Sweet Charity the potential to bring a whole group of creatives together to do something we would enjoy and get to have a laugh with. I wanted a show that had fantastic musical numbers, killer choreography and lovable characters, and for me, Sweet Charity is the perfect package of all of those things, it’s so classically musical theatre - plenty of sparkles and jazz hands. It was also really important to me to pick a show that needed a really large and strong female cast. 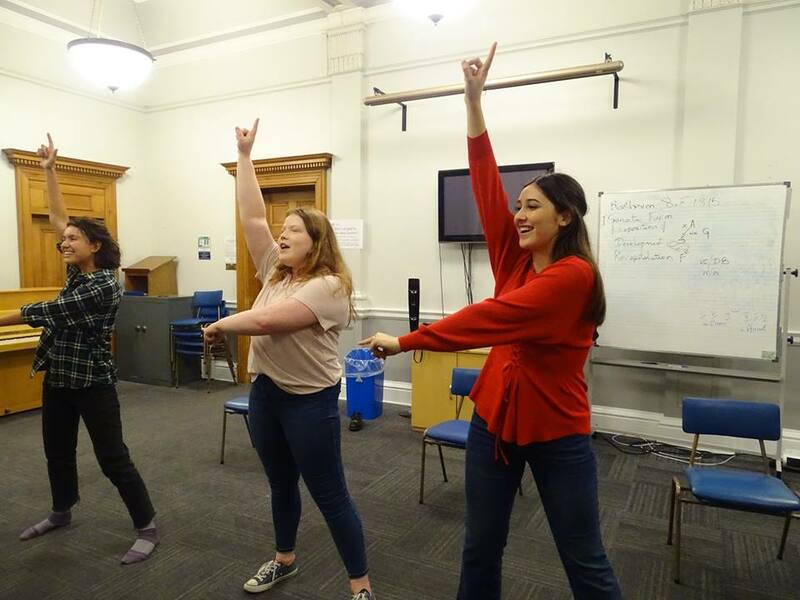 We have so many talented women at this University and because of the way St Andrews is, it can be harder to get involved in theatre as a woman, so I wanted a show where we could make that happen. 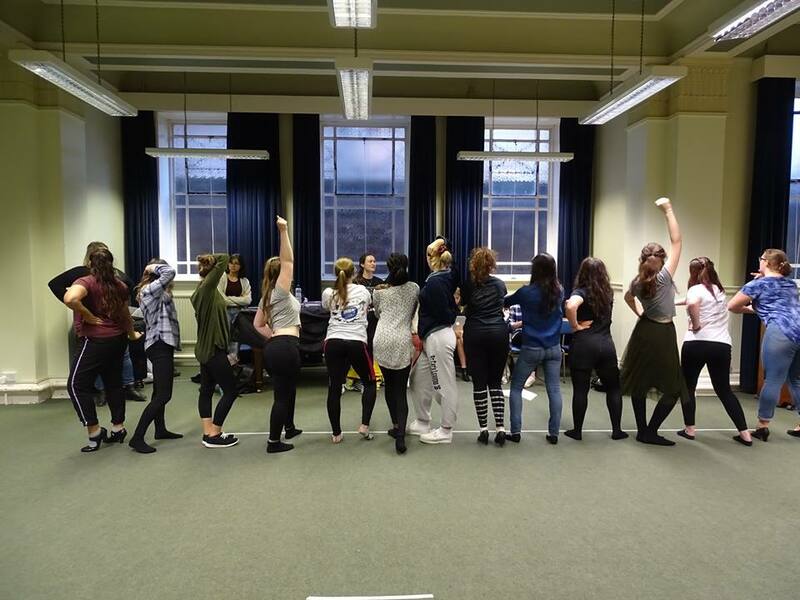 Sweet Charity is a show notorious for its choreography- how does choreographing fit in with directing and do you think the processes are different? HL: The choreography, in my opinion, is intrinsic to Sweet Charity - there is a reason I decided to do both, and I’m not sure that it would have worked if I hadn’t. Dance is such a key element in this musical, so many of the songs have these big dance breaks in the middle, and the choreography links so many of the scenes that it is impossible not to consider dance when you come up with your vision for a show. In terms of the processes, when it comes to choreographing, you as a choreographer have a lot more control, you tell the cast to do the moves that you want to see, in the places you want them to be. When it comes to directing the scenes and the dialogue, the actors have a lot more freedom to do what they feel is natural - it’s a much more collaborative process where most of the work is done in rehearsal, most of the choreography I did round my house and came to rehearsal with it prepared and ready to go. Fosse did the original choreography for this show, which is known for being complex. How much of it have you integrated and how complex was that to integrate? HL: I’ve integrated quite a lot of Fosse’s choreography, his choreography is just fantastic, so why fix something that ain’t broke?! Numbers like Big Spender are also so iconic, most people expect and want to see a certain thing, so why would I deny an audience that?! A lot of his choreography is very complex, so I did spend quite a lot of rehearsal time playing with it and making it mine and the cast’s own - they’ve been so patient with me and so willing to try Fosse’s signature moves and my variations of them, so they’ve made the process a lot easier than it could have been. What’s your favourite part of rehearsals so far? HL: I couldn’t pick out a particular part, I’ve left most rehearsals beaming and feeling so energised, because they’ve been (here it comes again) so much FUN! We have a lot of Freshers and people who haven’t done musical theatre in St Andrews before in Sweet Charity, so it’s been nice to meet and bond with the cast, and to watch them all bond with each other and the rest of the crew - who I have to add, have all been incredible, I couldn’t have done this show without any single one of them. 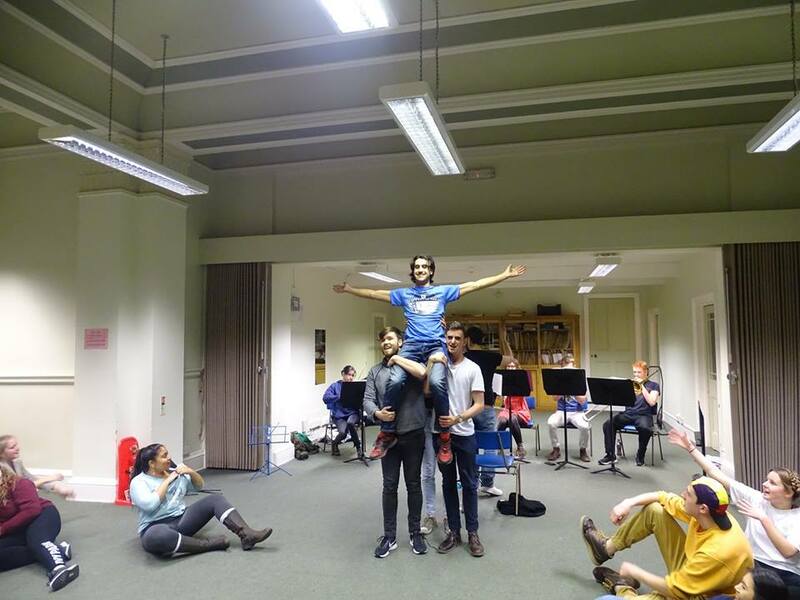 Having the band in the rehearsals in the past few weeks has also been exciting, they’ve brought a really fresh energy to the production and are all so talented. So chat about the ending of this musical- do you have any interpretation of why it’s so bizarre? HL: Ahahaha, I don’t want to give too much away! I think one of the great things about Sweet Charity is that in its own weird way, even though it is super exaggerated and unbelievable in terms of the plot and the characters, there is a part of the show that I find so relatable and real and that is epitomised in the ending. It is bizarre, but a toned-down version of the situation Charity finds herself in at the end, is one I’m sure many people have found themselves in. Best Dancer in the Fandango Ballroom- Nickie, Helene, or Charity? HL: They’re all so different, and I feel a bit like I’m a mother who is totally unable to choose a favourite child. However, I’ll chose Nickie. As the oldest, most mature and most experienced, she conducts herself in a really elegant and dignified way (for a taxi dancer), which I rate. The three girls in these roles (Rachel, Liliana and Ella) are AWESOME, definitely three to watch. What place do you think the classic dance-centric musical has within the changing world of musical theatre? HL: Dance is so often seen as merely an embellishment to a musical, and not as a mode of expression in the musical, which is where these dance-centric musicals are cool, especially one like Sweet Charity where the characters are dancers, so it is so natural that dance is used as an extension of the emotions expressed by the characters. Dance speaks to so many people in a way words sometimes can’t, it can be so key in creating an atmosphere, suggesting a mood. I think you do see this understanding in modern musicals (and adaptations) though, take things I’ve seen recently like Hamilton or Six or the Regent’s Park Jesus Christ Super-Star, the contemporary choreography added so much to the atmosphere and spectacle being created and without it these shows would’ve lacked a massive driving force. Maybe the old classic musicals and the new musicals (in terms of dance) aren’t actually quite so different as they seem. Sweet Charity goes up in the Byre Theatre on the 13th, 14th and 15th, at 7:30. Tickets can be purchased at the Byre, or at their website, linked here.